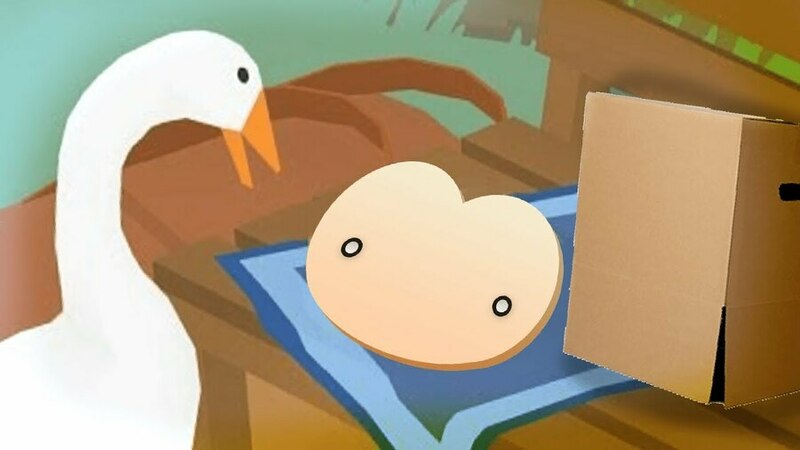 Untitled Goose Game is perhaps one of the most anticipated indie titles set to arrive on Switch. Since its reveal last summer, we've seen nothing but love for the game's quirky nature in our comment sections and a healthy number of our team can't wait to get stuck in, too. Sadly, despite that initial reveal confirming that it'd release in "early 2019", the game was recently delayed until "later in 2019". We still don't know when that means exactly, but the delay announcement was so sweet that the development team was immediately forgiven. Of course, tomorrow we have yet another Nindies Showcase presentation to look forward to - the game's first reveal came from one of these Nindies Showcase videos - so hopefully we'll get a little more info soon. Until then, though, GameSpot has shared a glorious 23 minutes of gameplay footage from GDC 2019; if you're desperately waiting for the game's release, make sure to check it out. 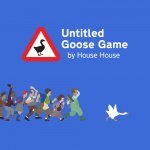 Are you excited for Untitled Goose Game? Will you be picking it up when it does eventually arrive? Let us know in the comments. Looks like it might be pretty fun for a bit. Price point will be important for me though. Not sure I'd spend a decent amount of money on it. Looks like a game that will be fun for half an hour then never to be touched again. So, when is this game gonna get a title? We know who's most excited for this game: the guy on the right. Games with stupid names like "Untitled ___ game" or "Yet another ____ game" never do well, for many reasons. One reason being that people just don't respect products with names like that. If they're this far in development, I'd be concerned they're just going to stick with the current name. @Mykillvee I'm pretty sure "Untitled Goose Game" will be the final title. That looks like so much fun to me. I love the simple visuals, too. I'll definitely be happy to see more of it down the road. At this point, I hope they keep the current name, or call it "A Goose Game". No joke, on the indie game side of things, this is one of my most anticipated games. A jerk goose, that wreaks havoc on the town by stealing carrots and dropping suitcases in a pond?? Sign me up! "Out Now!" during tomorrow's Showcase? It was boring in the Nindies Direct, it is still boring now. @Prizm How do you have any idea that games with “stupid names never do well because people don’t respect products with names like that.” Are you an expert in product development, marketing, and sales? There seems to be a huge amount of interest in this indie game for people not “respecting” it. I think the name is a clever marketing tactic designed to get the game more attention, if anything. Also, it’s a game about a goose wreaking havoc on a town. I don’t think it supposed to be taken seriously. This is Game of the Year for sure. @bleedinmagic81 I hate action games. I'm at work right now, but I can't wait to take a gander later. I’m looking forward to this quirky gem. I think the name suits the game perfectly. Clearly it’s not meant to be taken seriously. Sign me up! @Leuke that is a fowl joke my friend! The concept of this is entertaining, but I'm wondering how fun the execution will be gameplay-wise. @beazlen1Sorry, please don't get your feathers ruffled! Arlo is what happens when a normal YouTube video review show meets something Nintendo themselves could come up with.